So it’s not 2013 anymore. Whoops. 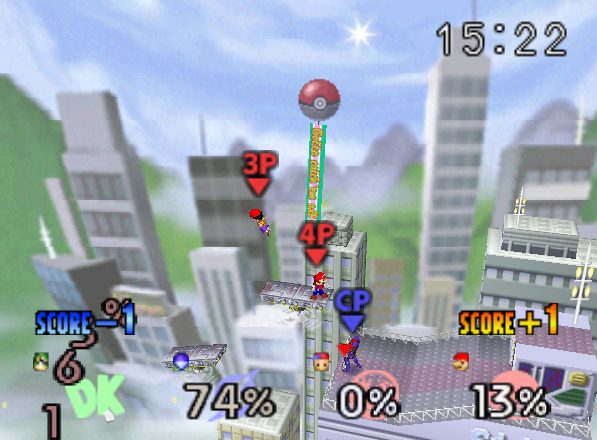 These are the top five old stages that I’d like to see return to the new Super Smash Bros. that’s coming out this year. 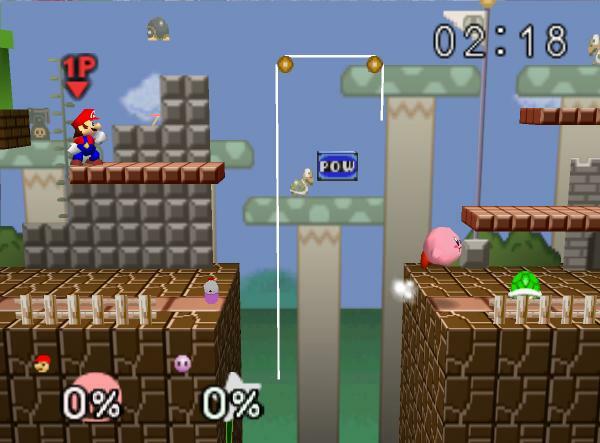 To be specific, these are stages from the first two SSB games that were not in Brawl. The original hidden stage, Mushroom Kingdom was always fun to play back when I was a kid. Sure, you could get pushed back until you couldn’t be seen and just die, and the middle platforms could always drop you to your death, but there’s a POW block. That’s pretty cool, right? 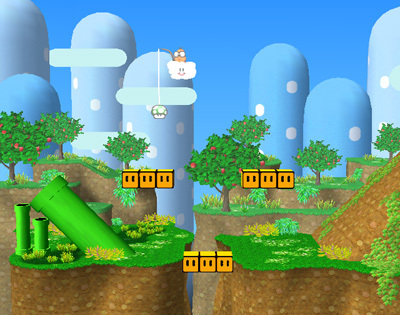 We could bring back this stage and get rid of Mushroomy Kingdom, because the underground portion was awful. I think what’s cool about Great Bay (from Melee) is its uniqueness. It’s a smallish stage, yes, but it’s also got a turtle island that betrays you and sinks you to the murky depths of the ocean. Plus, Tingle’s just floating there, waiting to be destroyed so utterly. It’s no Pirate Ship, but it’s a lot more manageable than the behemoth they call Temple. Seriously, shorten that one up. No, wait, that one’s already in Brawl. Okay, there, that one. It isn’t really anything special, but it’s Yoshi. Yoshi is super and he is the character your world deserves. Yoshi’s Island is really Mario’s stage, and Yoshi’s Island is kind of lame. Now Yoshi’s Island, this one is cooler. 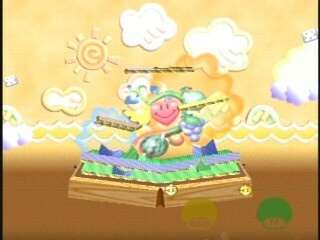 It’s from Yoshi’s Story and is super-imposed over our favorite tree, the Super Happy Tree. Seriously, Yoshi has more than one game. 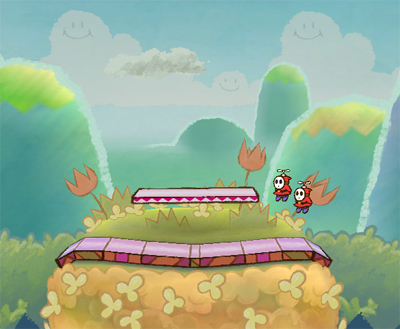 You don’t need to call every stage Yoshi’s Island. The strangest stage to be tournament (considering how Ness gets wrecked in that little drop between buildings), this stage is actually pretty cool. The main attraction is the garage thing where Pokemon come out of. Electrode blows you up, Porygon punches you with its face, and then you seek unneeded revenge on Chansey by knocking her smug helpful self out of the stage. Not only could they add more Pokemon, but they could get rid of the original Pokemon Stadium, since it’s really unnecessary. It’s literally Pokemon Stadium 2 with less stuff. What are you doing, Seel?… Why are you watching, Wooper? Wooper is really happy to see you. 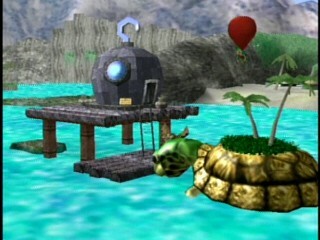 Here it is, the best stage we’re missing out on: Poke Float. Now, I dislike moving stages, since they’re too difficult to keep a grip on, but this stage wins points for being full of Pokemon. Sure, it would need some updating (probably) for some hopefully non-Gen V Pokemon, but that would just make it more awesome. 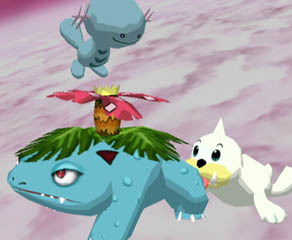 I would love to play this stage again in the newest installment of Super Smash Bros. Just… keep Seel away from Venusaur. Where’s Yoshi, Nintendo? Save Yoshi 2014.